Fill up the form below for your Cabin Rental Booking Request. Disclaimer: This form will only submit a request for availability of preferred unit types provided with the dates specified. This page gives a quick overview of all of the on-line long-term accommodations in all of our destinations, please check out as many choices as you can to get a clear picture of the range of services offered in each area. Stoneridge Mountain Resort, tucked away in the towering Canadian Rocky Mountain Range in Canmore, Alberta, Canada and just a short journey to both the town of Banff and Banff National Park, has top-of-the-line suites and lodging that provide comfort, space, and the ideal attributes for a storybook Canadian vacation. 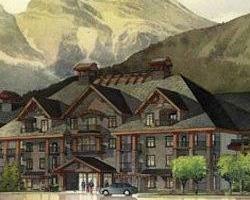 Canmore/Banff Condos and Suites are only steps from the Canmore town center. CANMORE, ALBERTA- Canada – Falconrest Lodge of Banff, Albert offers luxurious mountain accommodations located within minutes of Banff National Park. The Falcon Crest Lodge in Canmore offers the perfect setting for your next Rocky Mountain Retreat. As one of Canmore’s finest hotels, Falcon Crest Lodge allows you to indulge with our hotel features and amenities including granite countertops, fluffy duvet comforters, pillow-top mattresses and unparalleled service. Just 15 minutes from Banff and close to golf, ski and the best things to do in the Canadian Rockies. Near Dead Man’s Flats in Canmore and flanked by Canada’s Rocky Mountains you’ll find a prime vacation spot. Merely minutes from Banff, our one-and-two bedroom suites will provide you with the upmost comfort. Our suites envelop our magnificent courtyard where guests can enjoy all the amazing accommodations and amenities that the CopperStone Resort and Hotel has to offer. Guide to wildlife in the Canadian Rockies by author and wildlife photographer John Marriott. Includes over 70 full-colour photographs and lively, thorough descriptions of 32 different species. Reservation service for several outdoor adventure companies in Banff and Canmore. Backcountry wilderness adventures in a remote mountain valley just north of Jasper National Park and east of the spectacular Willmore Wilderness Area. Half, full and multi day whitewater rafting and kayaking excursions on the Kicking Horse River. Also offers snowmobiling and ATV tours. Half, full and multi-day dog sledding adventures in Kananaskis Country on the edge of Banff National Park. Western heritage artist in Canmore. On-line ordering and display gallery. Commercial photography for weddings, incentives and corporate functions in Banff, Lake Louise, Canmore and Kananaskis Country. Wildlife and nature photography. Tours in the Canadian Rockies, on-line gallery, and stock collection. Wildlife and nature photography. On-line gallery and print order form, gallery in downtown Banff. Editor’s note: The Town of Canmore is only about 15-20 minutes away from Banff (townsite), right on the edge of Banff national park. Consider Canmore as a viable alternative to Banff when planning for accommodations. The specifc destination accommodation guides for each area provide more details, see page bottom for links to these areas. This page gives a quick overview of all of the online accommodations in all of our destinations, please check out as many choices as you can to get a clear picture of the range and style of accommodations offered in this area. Editor’s note: The town of Canmore is about 15-20 minutes away from Banff (townsite), right on the edge of Banff National Park. Consider Canmore as a viable alternative to Banff when planning for accommodations. The specifc destination accommodation guides for each area provide more details, see page bottom for links to these areas. Dreaming of retiring or living in the Rockies ? Click here for Real Estate and more. Banff, Alberta (Canada) – Enjoyable Banff vacation experiences often include a great room with a comfortable bed at one of the many first-rate accommodation options found in Banff and/or Canmore – which is located 15-20 minutes from the town of Banff. Bedfind.com offers accommodations that range in size from 2-5 bedrooms that have enough room for a few people or families with a lot of kids. 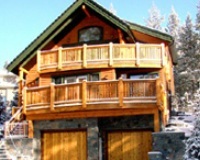 Vacation home rentals in Banff, or Canmore, can make your trip to Alberta’s Banff National Park a memorable experience. The comforts are numerous; linens, towels, cushy beds, TV with cable, internet/WiFi, private bathrooms, hot tubs, grills to BBQ and fully-equipped kitchens for the cook in your family. And upon request, Bedfind.com will even stock your kitchen before your arrival, provide baby equipment and/or arrange activities throughout Canmore and Banff. Also be sure to research the top activities at Banff National Park and learn how to raft the Kicking Horse River in Banff to plan the one of the greatest Canadian vacations of your life. 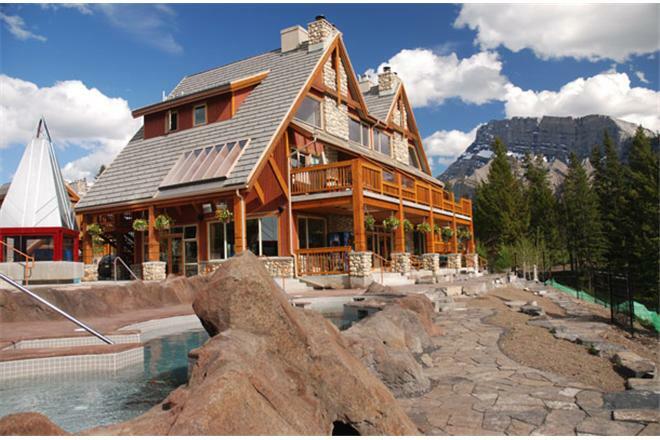 Vacation Roost specializes in vacation home rentals, and provides the best and most up-to-date information to help travelers that plan vacations to and around Banff, Canmore, Lake Louise and Banff National Park have a great experience during your trip to Canada. 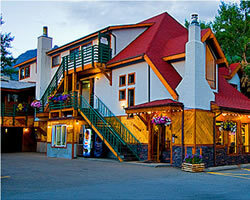 Vacation Roost has a full staff of travel experts that personally know the Banff and Canmore areas in Alberta, Canada. This expertise allows them to personally advise guests and assist them help make a trip to Banff National Park unforgettable. Vacation Roost can also help provide ground transportation, grocery services and equipment rental for your outdoor excursions – which there are an abundance of around Banff National Park, including popular rafting choices to get your adrenaline rushing faster than the rapids (for more Banff White Water Rafting information the Banff Rafting Association has everything you need to know about white water rafting Banff, Canada and the Kicking Horse River. Click here to visit Vacation Roost’s website. Find the best accomodation in the Canadian Rockes here. Cabins and Chalets in and around the Banff National park and Lake Louise area of the Canadian Rockies. Banff – Lake Louise, Alberta, Canada – Conveniently tucked away between world famous Banff and Lake Louise, you will find a holiday gem among Banff accommodations. Enjoy the charm and hospitality and honest values that have been our signature for over sixty years. Lake Louise, Alberta, Canada Located in the heart of the Canadian Rockies, near the shores of world-famous Lake Louise in Banff National Park, Paradise Lodge & Bungalows is a family run business. Paradise Lodge has been owned and operated by the Pedersen family for more than 50 years. Each guest can fully enjoy a true mountain experience. Our guests visit from around the world to relax and surround themselves in our spectacular scenery. 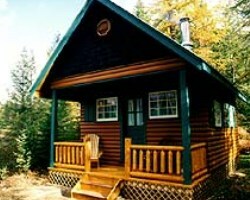 There are two types of accommodations offered at Paradise, individual cabins and lodge suites. Banff National Park – Individual rustic luxury cabins and luxurious Lodge suites Located in world famous Lake Louise in Banff National Park. 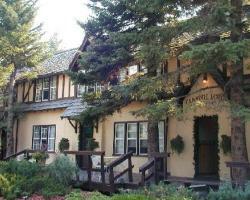 Super Location within walking distance to the Lake and the world famous Chateau Lake Louise. This page gives a quick overview of all of the on-line accommodations in all of our destinations, please check out as many choices as you can to get a clear picture of the range and style of accommodations offered in this area. Jasper, Alberta – For over 30 years Sunwapta Falls Resort of Jasper has helped nature loving vacationers just like you experience the amazing wonders of a Jasper National Park vacation in the spectacular Canadian Rockies. Come enjoy fine dining, romance packages and complimentary holiday planning. Canmore, Alberta – Stoneridge Mountain Resort, found within the majestic Canadian Rocky Mountains in Canmore, Alberta and just 15 minutes to Banff and Banff National Park, has luxury suites and accommodations that offer comfort, space, and the perfect oasis for your next Canadian vacation or conference. 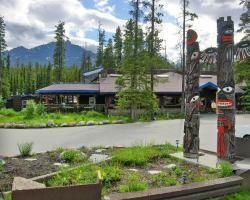 The Canmore resort is only minutes from the Canmore town center. Canmore, Alberta– Canada – Falconrest Lodge of Banff, Albert offers luxurious mountain accommodations located within minutes of Banff National Park. The Falcon Crest Lodge in Canmore offers the perfect setting for your next Rocky Mountain Retreat. As one of Canmore’s finest hotels, Falcon Crest Lodge allows you to indulge with our hotel features and amenities including granite countertops, fluffy duvet comforters, pillow-top mattresses and unparalleled service. Just 15 minutes from Banff and close to golf, ski and the best things to do in the Canadian Rockies. Canmore, Alberta – Found in Dead Man’s Flats, a one-of-a-kind area in Canmore and surrounded by the picturesque Canadian Rockies, is an excellent vacation spot. Just minutes from Banff, enjoy any of our one and two bedroom furnished suites. Our inviting suites wrap around our beautiful courtyard where guests can enjoy a quiet hot tub or gather around the outdoor fireplace all while taking in the sights. Canmore – Experience Mountain Zen. A fusion of sound, texture, warmth and tranquility, brought into balance by the power and beauty of the Canadian Rockies. Inspired by Zen tradition, to bring attention, reverence and harmony to all things, Silver Creek Lodge offers a unique environment with all the comforts of a cosmopolitan lifestyle in luxurious and unique condo suites. Banff – The perfect getaway. 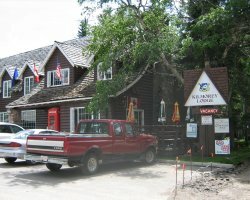 Cozy wilderness cabins and main lodge, with close proximity to Banff and Kootenay National Parks and Assiniboine Provincial Park. This is an EcoLodge; self-sufficient, environmentally friendly, and role models true stewardship of the land. The heritage cabins are each individually decorated complimentary to mountain life. The main lodge provides delicious freshly prepared home cooked meals and Wow! they have some of the best hiking in the rocky mountains. 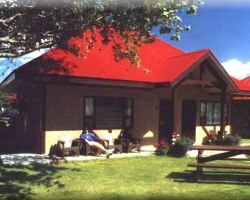 Because of their special nature – only being accessible by hiking or skiing to the property (Exception: Assiniboine and Diana Lake has helicopter access from Canmore and Purcell Lodge has heli access from Golden ) we have chosen not to list all the backcountry lodges, only a selection of the best one that suit the category. 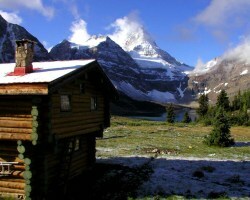 Banff – Backcountry lodge in Mount Assiniboine Provincial Park. Helicopter and hike in access. Waterton National Park, Alberta – The Bayshore Inn is located just 45 miles north of the U.S. border and 260 kilometers south of Calgary in Waterton Lakes National Park. We are a seasonal business open from April 28 to October 15. Centrally located in the Waterton townsite, the Inn sits on the edge of Waterton Lake and is just steps away from shopping promenades, tennis courts, boat cruises, bicycle rentals, stables, and golfing. Hiking is readily available on park trails and fishing opportunities abound in the area’s many lakes and streams. Waterton National Park, Alberta – Tucked in the Southwest corner of Alberta, the rugged wind swept mountains of Waterton Lakes National Park rise abruptly out of the rolling Prairie grassland. The park is a scenic jewel, an accessible wilderness that serves as an important four season destination. 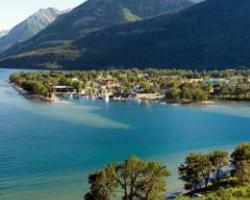 At the heart of the Waterton townsite is Waterton Lakes Resort. A hotel designed to provide a unique Canadian Rockies lodging experience. It is southern Alberta’s full service, environmentally friendly destination resort hotel. Waterton National Park, Alberta – In the heart of the Waterton Townsite, the Aspen Village Inn provides the widest variety of, sparkling clean accommodations in the Park. Spacious, well appointed rooms ranging from deluxe suites to cottages with full kitchens and fireplaces provide the highest quality in comfort and convenience. Centrally located, the Aspen Village Inn is only steps away from all the amenities of the village. Spectacular mountain views, whirlpool, playground, in-room coffee, BBQ and picnic area and other amenities are all included at the memorable Aspen Village Inn. Waterton National Park, Alberta – A cozy country lodge ideal for travelers looking for a quaint experience. Rooms with fireplaces, country décor, and lots of character. Relax on our peaceful patio that is perfect for savoring the incredible mountain views and fresh air. Alberta Service Best smiles and standards of excellence awarded with Alberta Housekeeping awards, the Crandell Mountain Lodge is a jewel within itself. With the feeling of a country bed and breakfast and the comfort of a lodge, relax and explore. Open year round. Waterton National Park, Alberta – Nestled between the mountain peaks on the shore of Emerald Bay, in the village of Waterton Park. The historic lodge, one of the original buildings in the townsite, began receiving guests in the late 1920’s. The beautiful log style building is reminiscent of a country inn, furnished with antiques and treasures collected over the years.